The gravity game with all wood components. Roll the die and then carefully pull out a stick that matches the color you rolled. Big blue sticks are worth 15 points, medium yellow ones are worth 10 points and thin magenta ones are worth 5 points. The game ends when the donut drops! For 2-4 players, ages 3 and up. 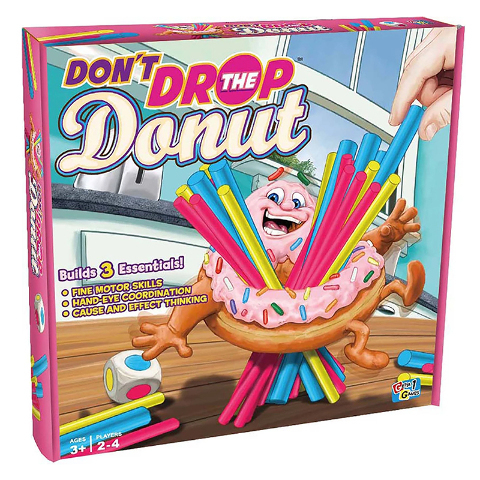 Includes wooden donut, 30 wooden sticks of three sizes, wooden die, and rules in English and Spanish.